Sometimes you find a real treasure in cyberspace. 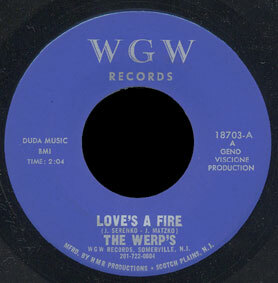 The Werps recorded this one 45 for the W.G.W. 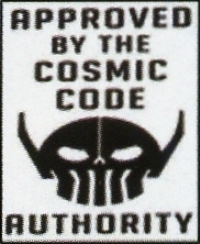 label of Somerville, New Jersey in 1967. People who think horns have no place in garage songs hate Love’s a Fire, but I think the horns help the sense of mayhem, and I dig the soloing over the drum rolls. There’s really no other record from any era quite like this one.